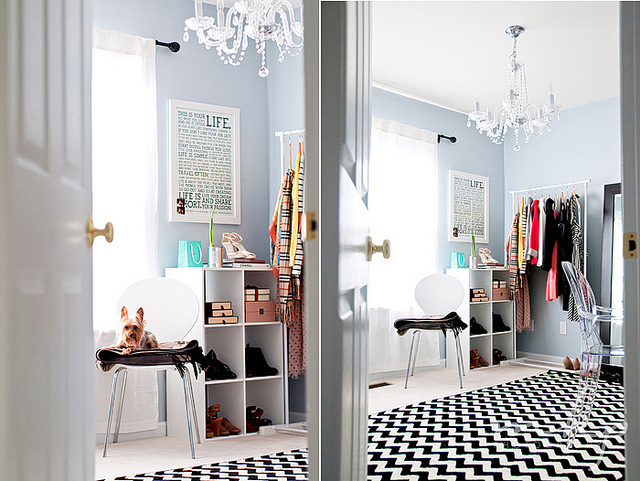 Mix and Chic: Makeover Miracle- Closet turned office and spare room turned closet/ dressing room! 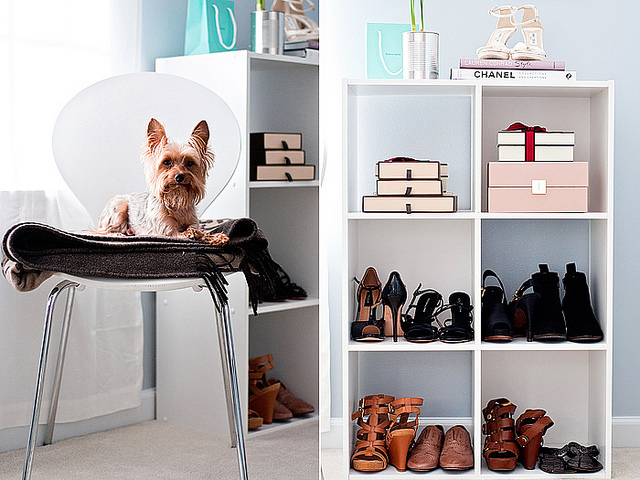 Makeover Miracle- Closet turned office and spare room turned closet/ dressing room! 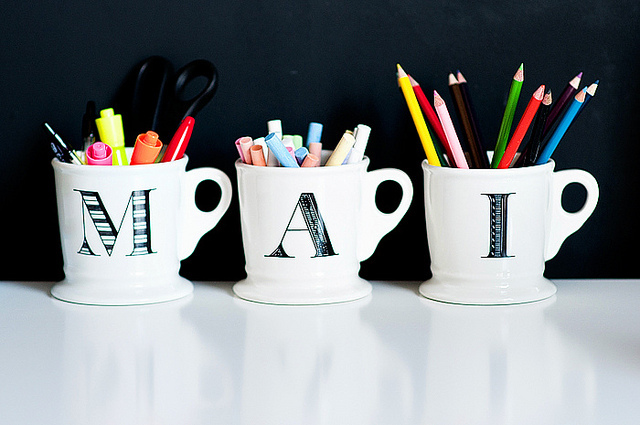 I have been reading and following fellow blogger, Mai and her gorgeous blog, A Cup Of Mai for a while now. Mai is a super talented girl with a keen sense of style. She is also a stylish fashionista who takes amazing pictures (totally magazine worthy), share delicious mouth-watering recipes and has a flair for interior decorating. 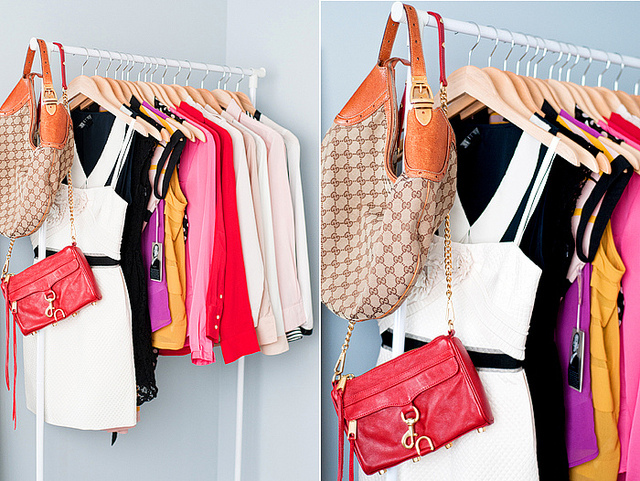 So when she showed us her closet turned office and spare room turned closet/ dressing room makeover, I was absolutely wowed. 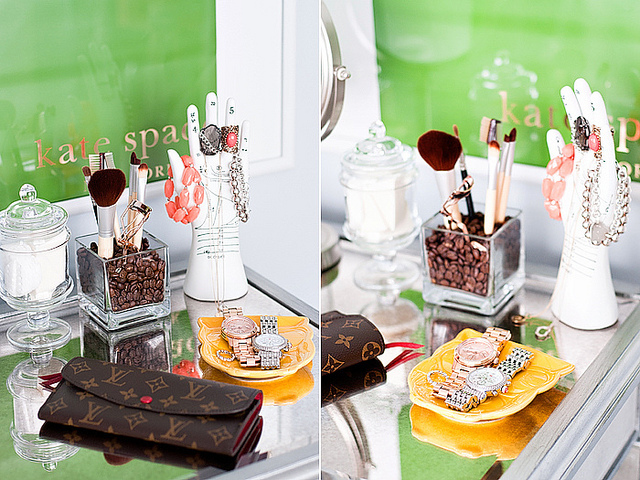 Both spaces were done on a small budget, which is always inspirational especially to those of us with tiny budgets. 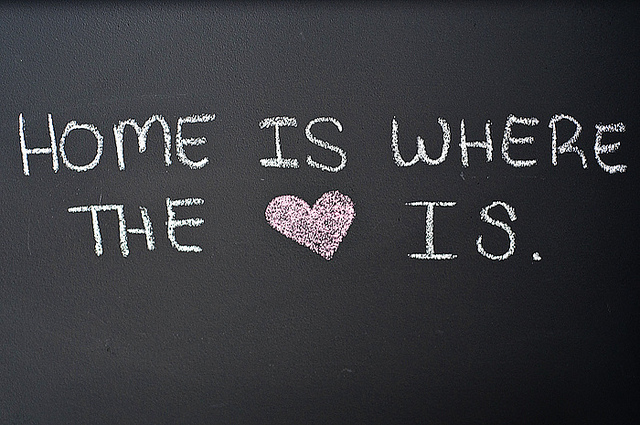 Let's take a look at these rooms! 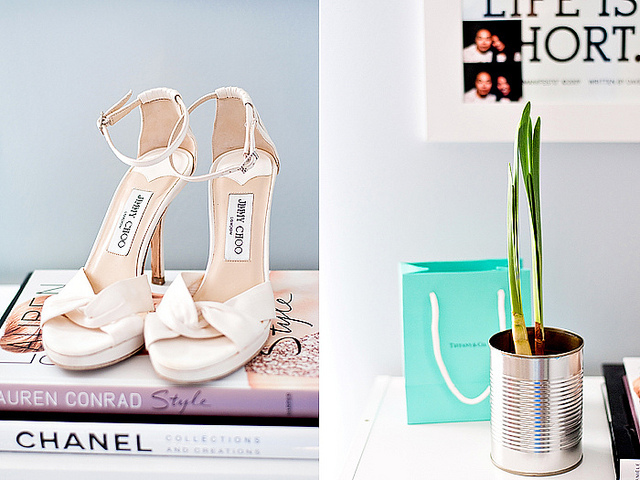 Very chic office space, isn't it? I would love to say I played a huge part in her office makeover, but no, she did it all by herself. The only thing I did was suggesting a piece of white artwork for her place to break up the dark wall and also to create some much needed contrast. (Earlier, she had three small rectangular mirrors hanging horizontally and it wasn't looking quite right so she asked me for my input.) 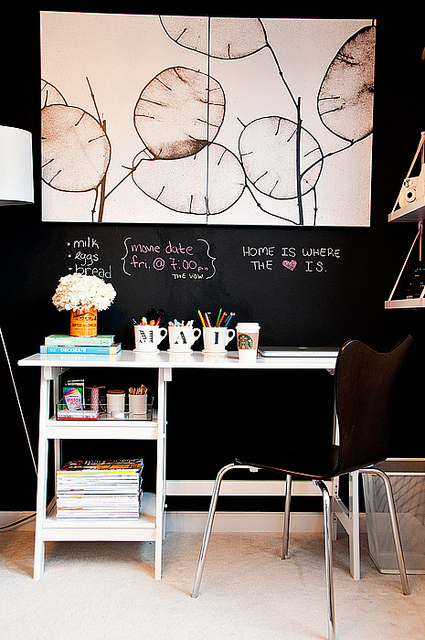 For details on her resources/ budget breakdown for this office makeover, click here. Don't you just love the bright and cheery colors in this room? 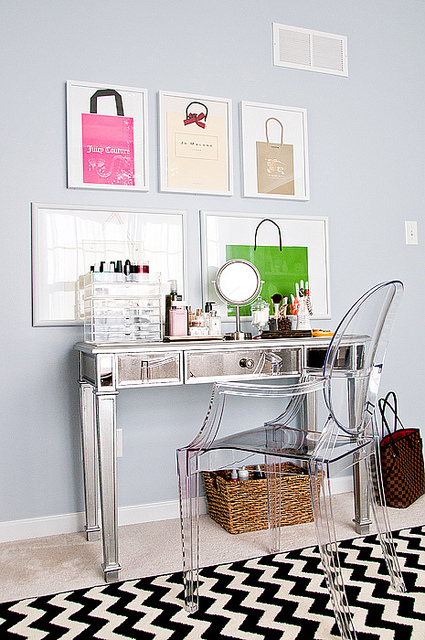 This is such a beautiful dressing room and it's filled with so much wonderful ideas. I really love the framed shopping bags idea. It's chic, inexpensive, totally unexpected and it's so fun to boot! 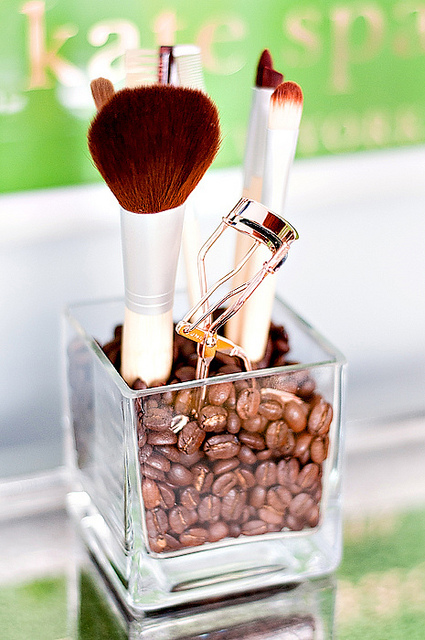 I also adore how she uses coffee beans to hold her make-up brushes. For details on all her resources, click here. I hope you enjoyed both fabulous makeovers by the lovely Mai. Don't forget to check out her gorgeous master bedroom as well! Wow the cutest! 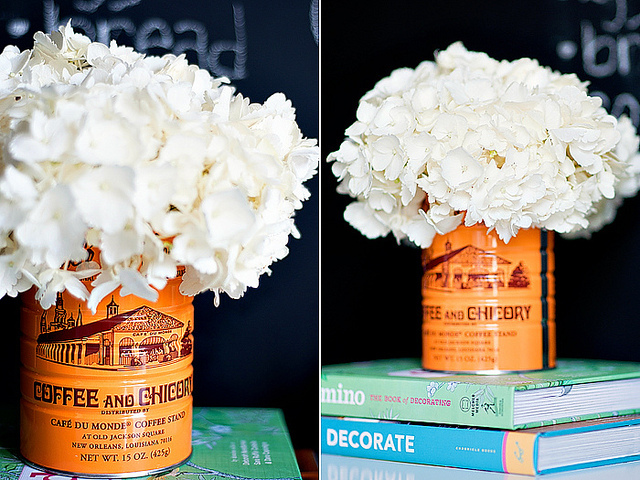 Love this idea...super creative. 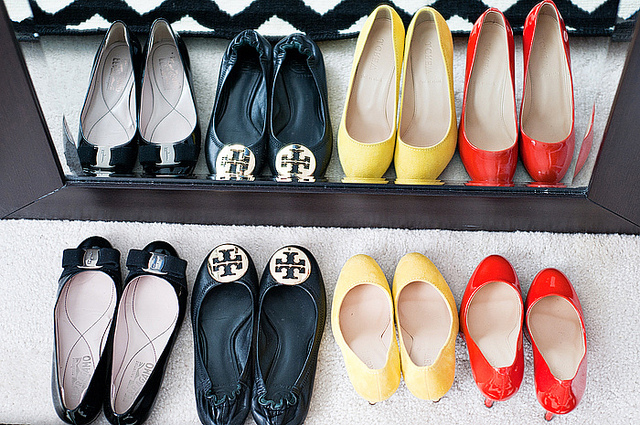 If I had those Jimmy Choo´s, I´d put them in my living room!!! OMG I love everything about this! Thanks for sharing!! Cute! 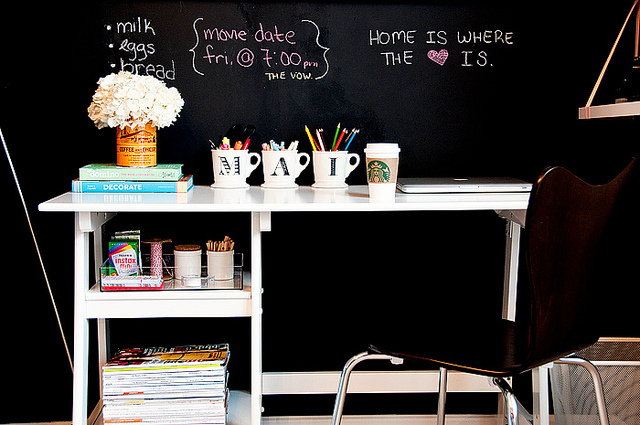 Love the chalkboard and the bright dressing room. Creativity abounds! 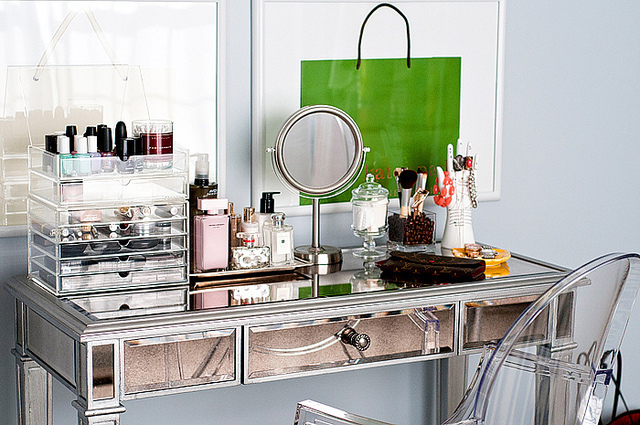 Such an amazing space to get ready in the morning! 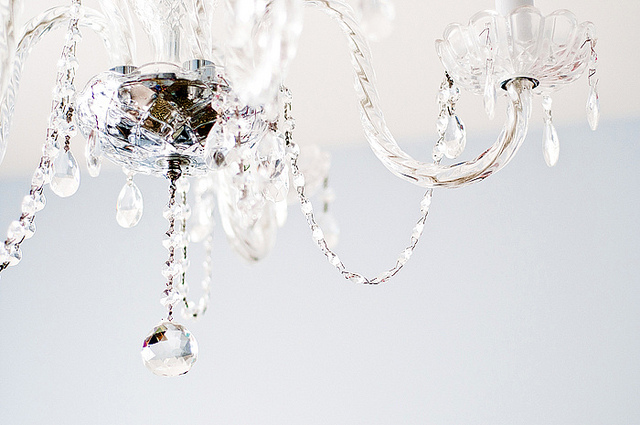 I love the mirrored vanity and the gorgeous chandelier. 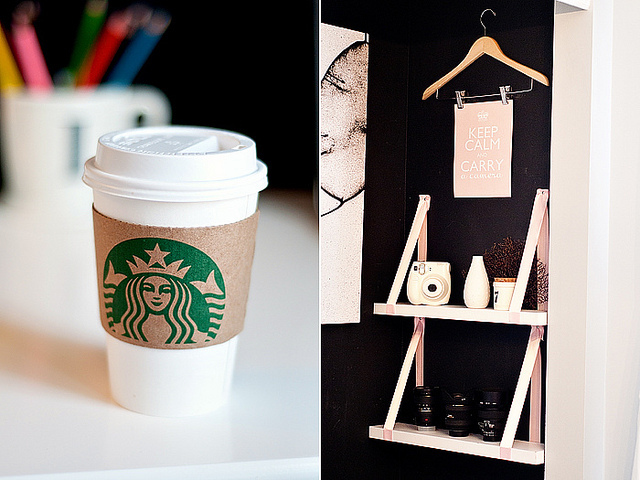 The closet turned office is a fantastic transformation. Thanks for sharing, Jessie! 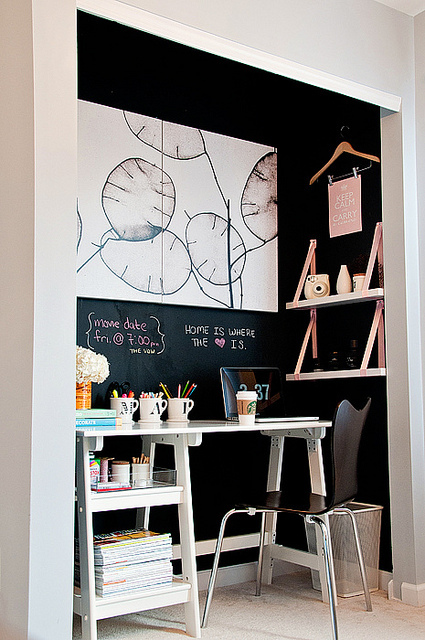 Really like the dressing room and great way to save on space with the office. My sister actually did the same thing at her place. This is amazing inspiration and perfect pictures! 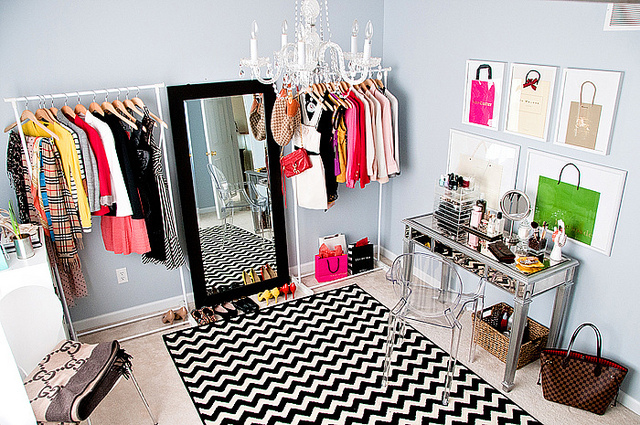 That closet is a girl's dream come true. Happy weekend to you. I have also encountered this post on her blog site. She is definitely incredible and has an eye for detail and creativity. This is one of my favorite blogs from her. I just love every element she has put to these rooms. Thank you for sharing. This just inspires me even more.